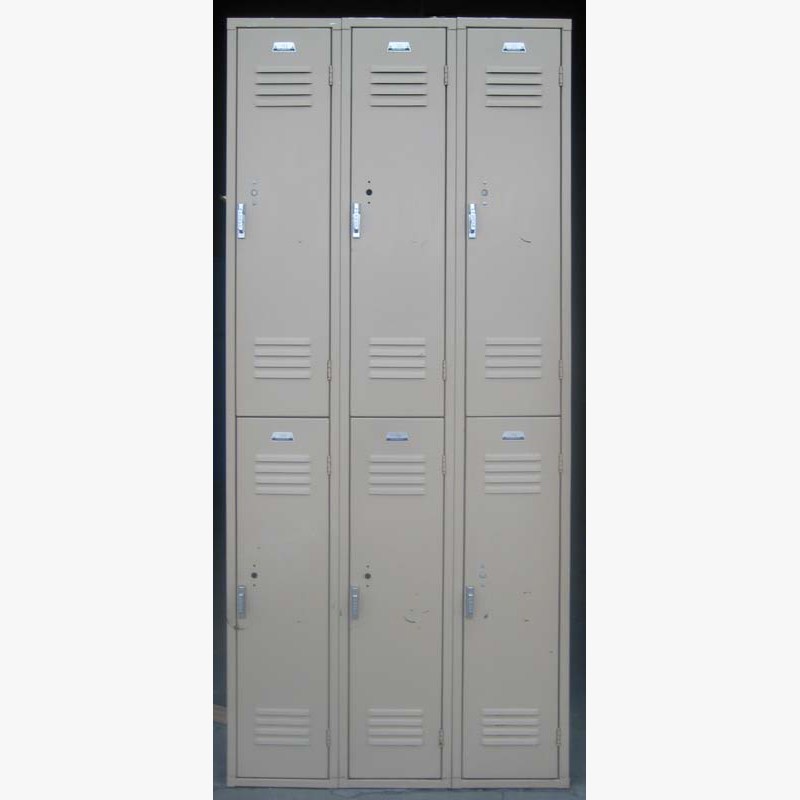 These Metal Double Lockers - Extra Tall are available on www.buyusedlockers.com where they have a huge selection to choose from if we need additional supplies. 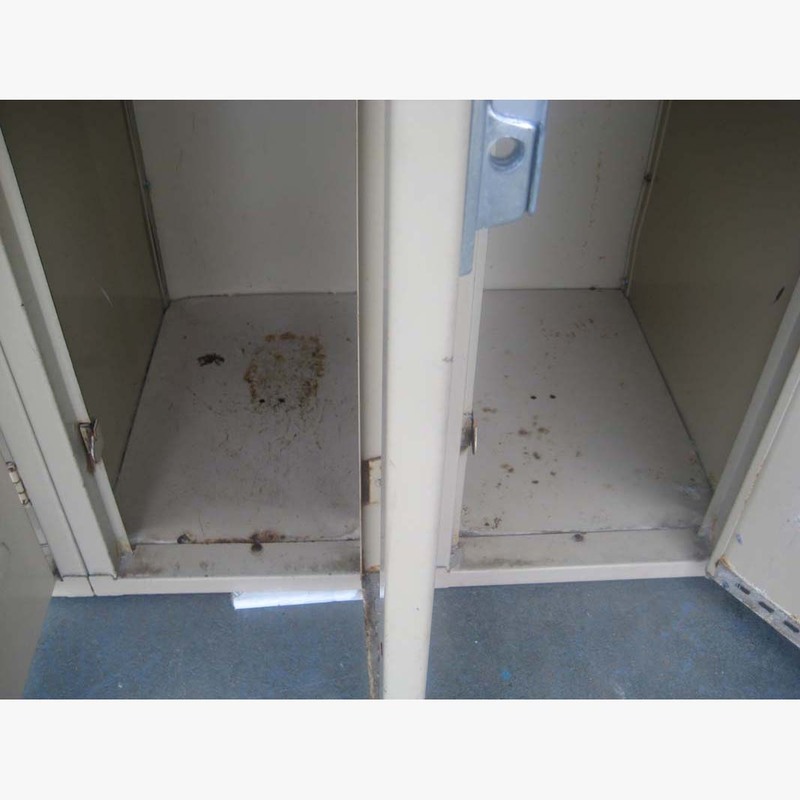 Metal Double Lockers for sale. We have 6 Penco metal double lockers that are 12" wide x 18" deep x 42" tall each opening in 3 columns that are 84" high overall. These tall metal locker columns are all double row columns meaning that the lockers are all assembled back to back and share a common back panel. This type of configuration offers you substantial savings. 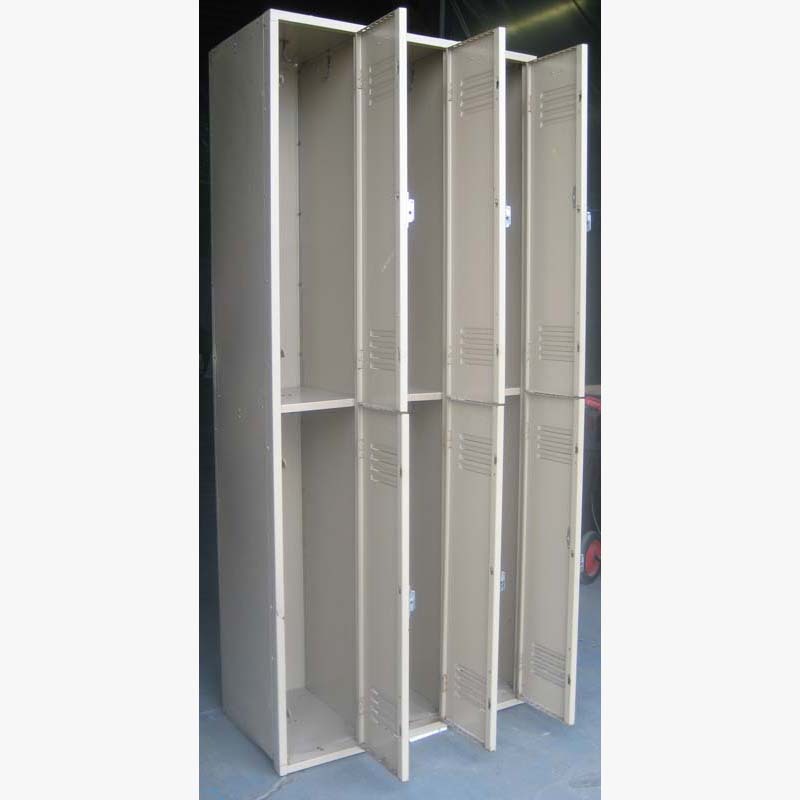 Although these tall lockers have minimal surface rust, they are in good working condition and have many years of heavy use left. 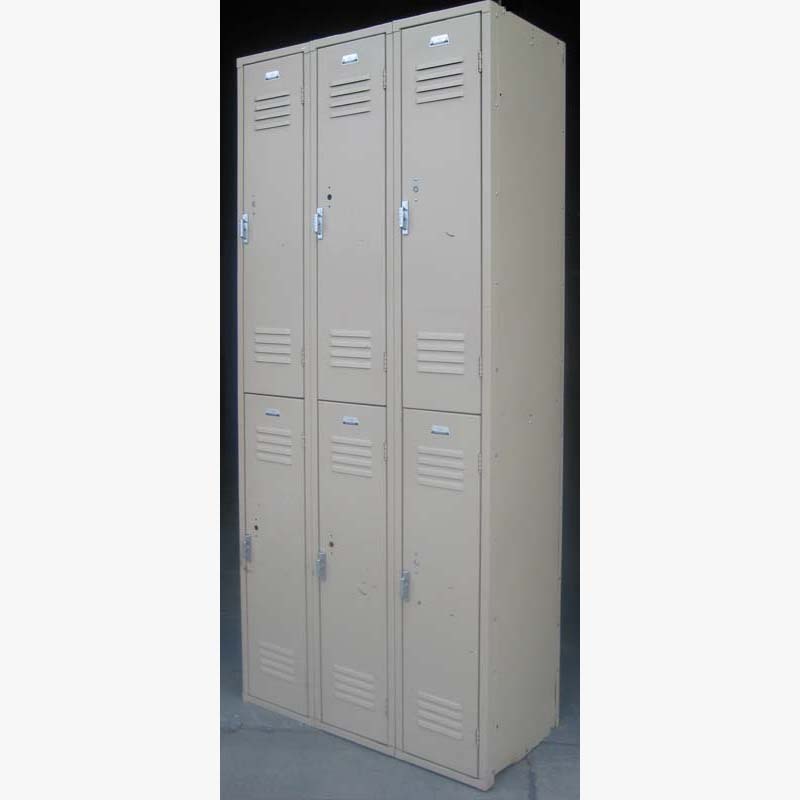 Metal double lockers are ideally used as lockers for gyms, schools, employees, etc.